Wow! It seems like forever ago I drew the Bombus Terrestris (Bumblebee) Card Design, infact it was all the way back in February last year! But now I'm finally in a place where I am starting my illustration business and I can make the products that these illustrations are destined for. After literally hours of trying to get my printer to cooperate and print on the card blanks I finally managed to hold some beautiful cards! 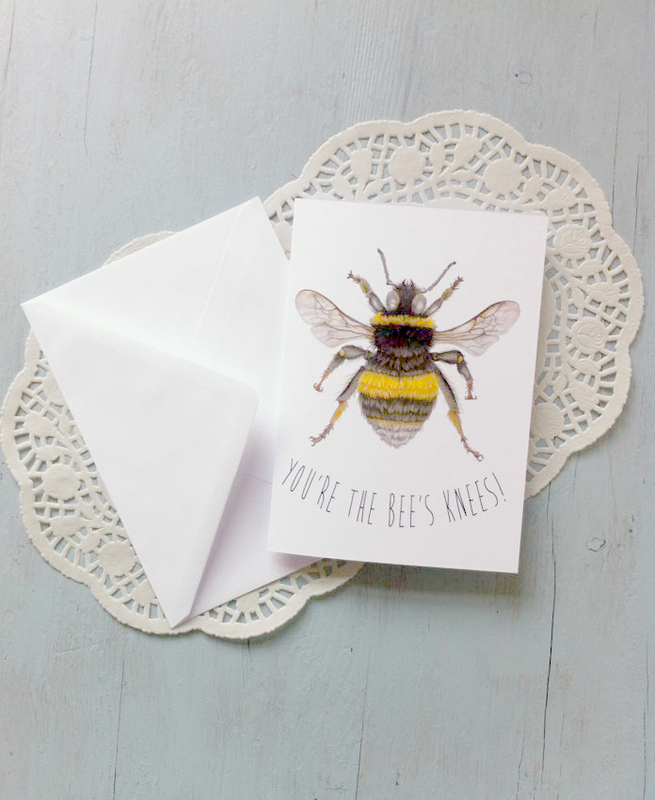 The card has been printed on 250gsm card which has a lovely soft tactile quality and comes with a matching white envelope.